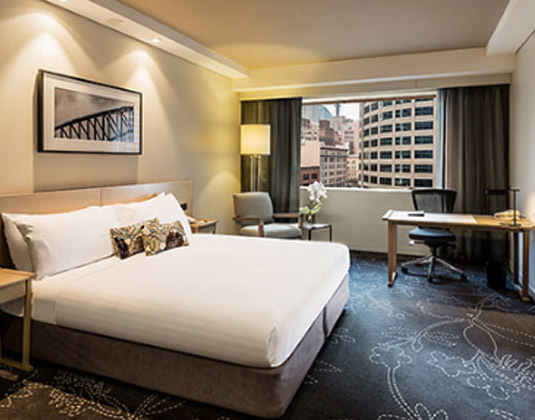 Discover Sydney's most popular landmarks within a stroll of this lovely hotel, from the excitement of Cockle Bay Wharf to the nearby shops of Harbourside and Pitt Street Mall. The comfortable rooms provide a welcome retreat, while Abode Bar & Lounge is the ideal place to unwind and relax with a drink. 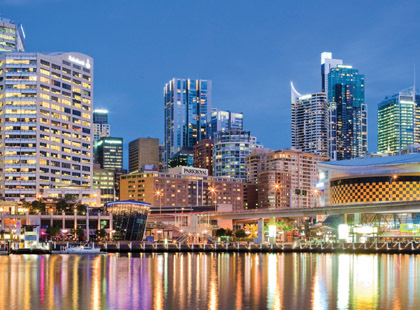 Darling Harbour outlook rooms * club rooms are particularly recommended and include access to the club lounge, continental breakfast, all day refreshments, twilight drinks and canapés plus free WiFi * club Darling Harbour outlook rooms. FREE nights 4 for 3: 02-31 Jan, 01 Apr-30 Sep 19 & 02-31 Jan 20. Maximum 2 free nights. Family offer: Children 0-12 years stay free, when sharing a room with two adults. Honeymoons: Apr 19-Mar 20 receive club access for two.